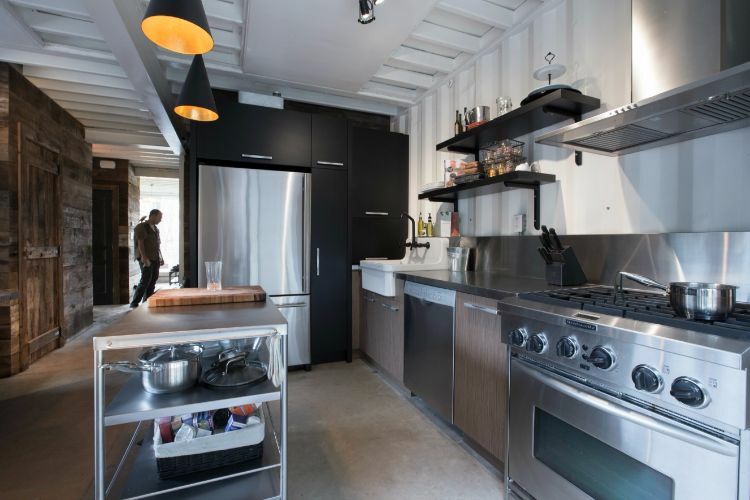 Built from two shipping containers in Quebec, Canada, this gorgeous home called La Maison Conteneur I (The Container Home I) provides its resident and builder Claudie Drubeuil with 1,920 square feet (178.4 sq. m) of luxurious living. The home features three bedrooms and two and a half bathrooms, with edgy details and memorable accents that make this home really unique. 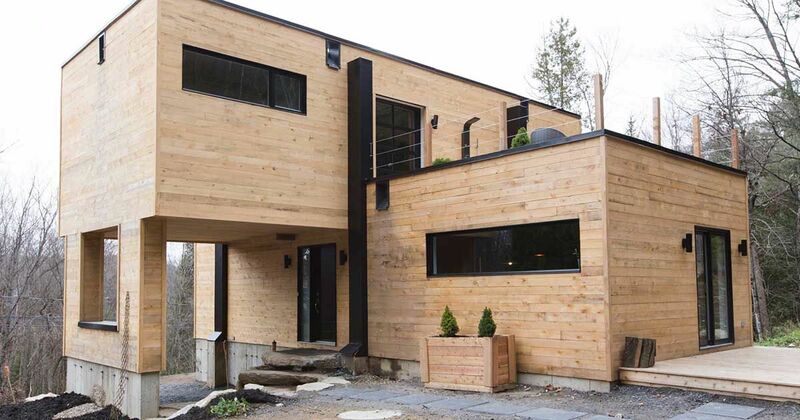 As a matter of fact, La Maison Conteneur I has given Canadian company Les Collections Dubreuil inc. much-deserved fame, since this house was one of the first container homes to go mainstream. The gourmet kitchen shines with stainless steel appliances, featuring an oversized range, oven, center island and sink. There are built-in cabinets around the stainless steel refrigerator, and overhead shelves save space in the room. Exposed tubing left out due to electrical constraints actually adds an interesting look to the room. Oversized wooden doors disguise a pantry for food storage. The wooden dining room table looks right at home underneath warm, glowing pendant lighting. 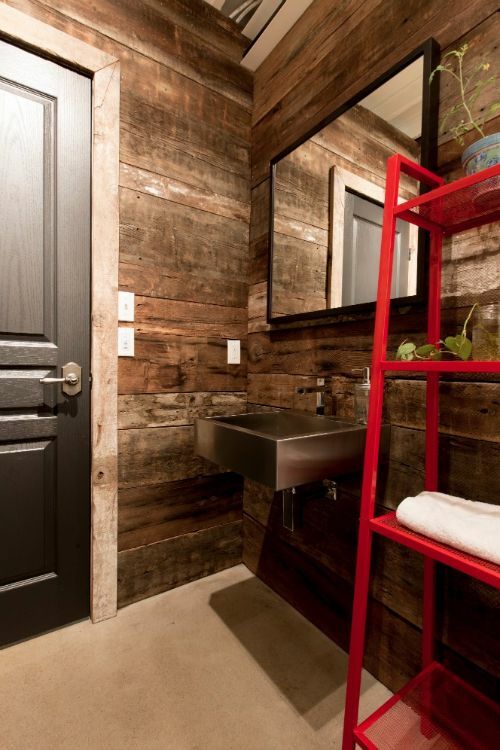 The powder room, or half bathroom, features a sink and toilet along with reclaimed wood walls for a rustic feel. Metal shelves add a welcome pop of color to the room. 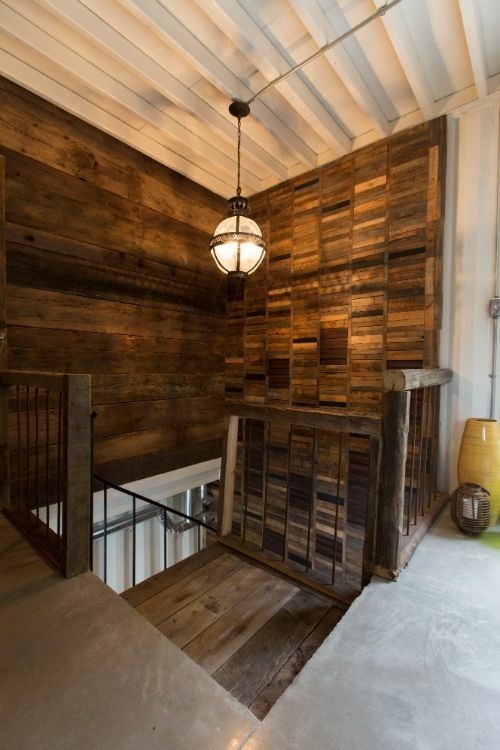 Head upstairs to check out the bedrooms and admire the reclaimed wood wall, which is 18 feet (5.5 m) high and was created by an artist. It's gorgeous and so eye-catching! Pendant lighting showcases the space and highlights the wood even further. 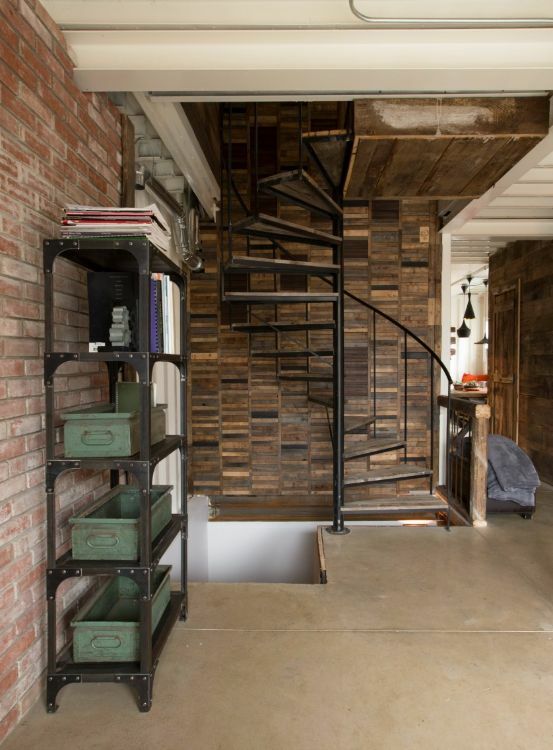 The winding staircase is really cute and charming, and exposed brick walls complete the home's industrial theme, along with decorative metal accents and shelves throughout the home. 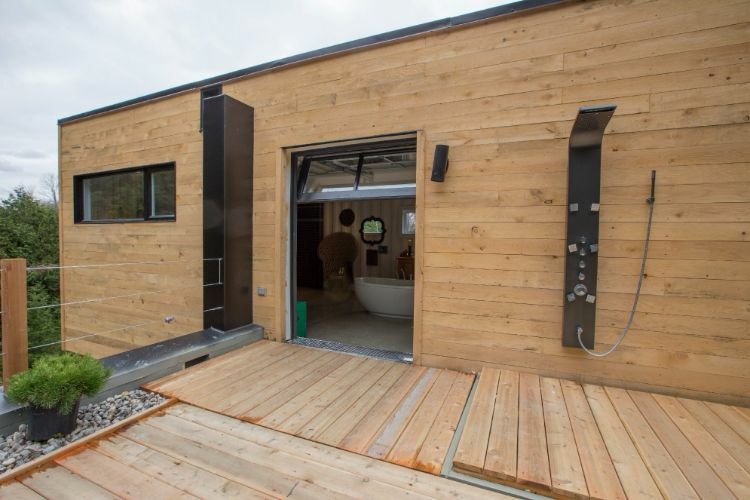 The master bedroom has an open floor plan with an adjacent toilet and open-area bathtub. 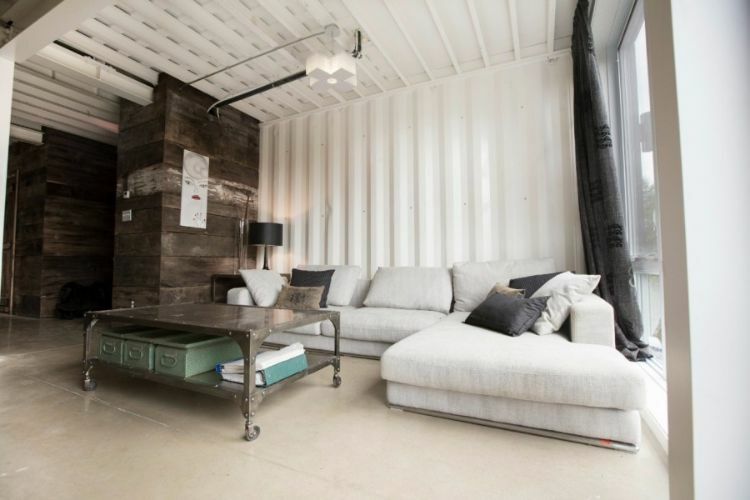 It has a boho yet sophisticated feel that simply says "home." 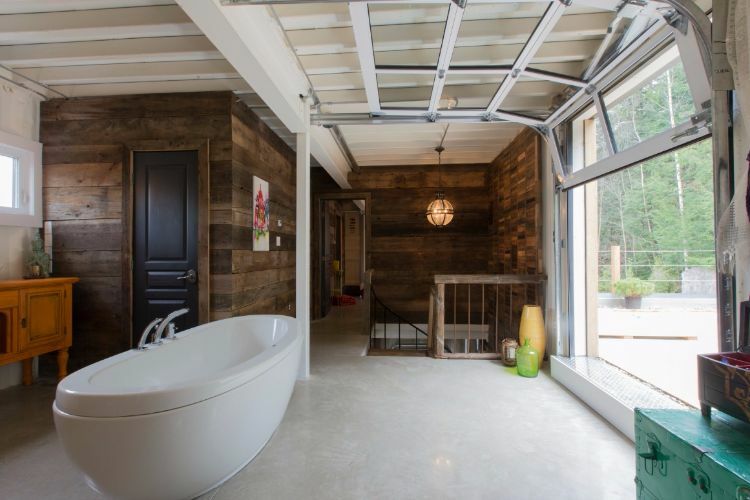 The bathtub, located directly in front of another window wall, is simply glorious and airy. 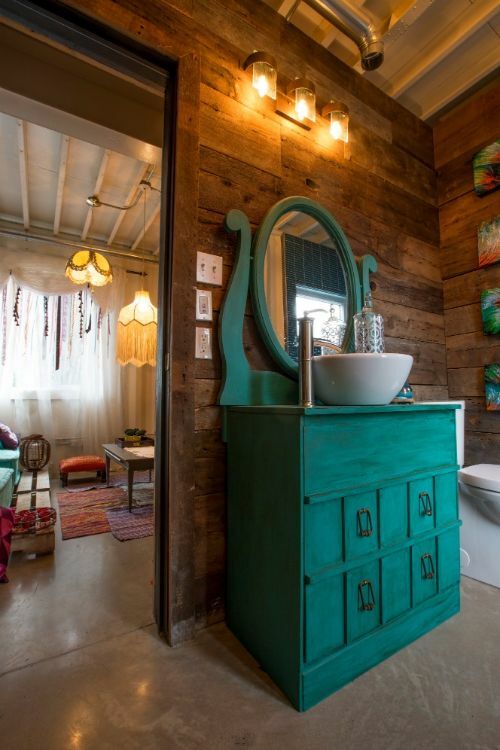 A vintage vanity holds a ceramic basin, adding to the funky, antique vibe of the space and giving the room added color. A small room located off the bedroom is outfitted for reading. Hanging vintage lamps and colorful rugs continue the groovy feel of this bedroom. 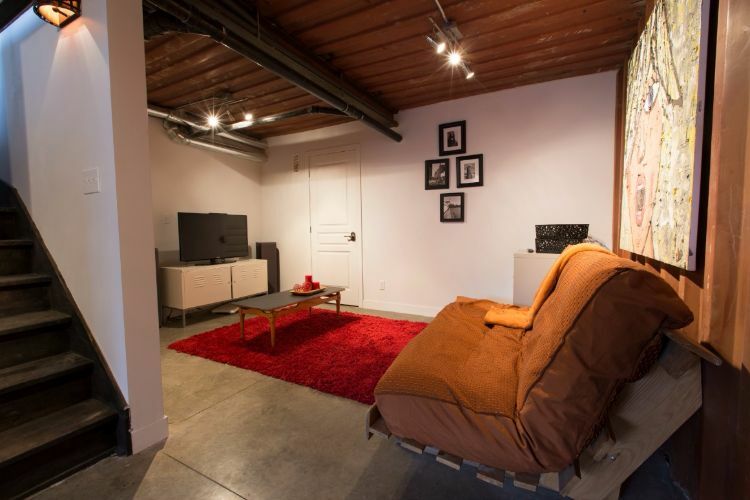 The home even has a basement, which is simply called the TV room. A futon can accommodate overnight guests if necessary. 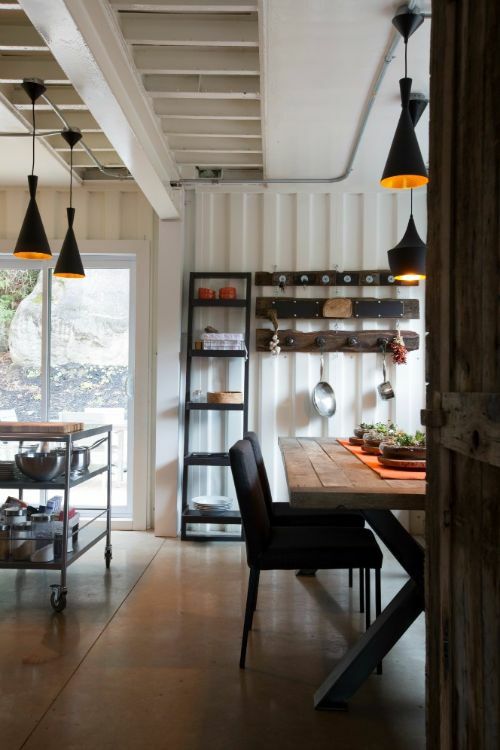 Unfinished metal walls, which were left over from the original shipping container before they were painted, give the room a different look and feel than the rest of the house. 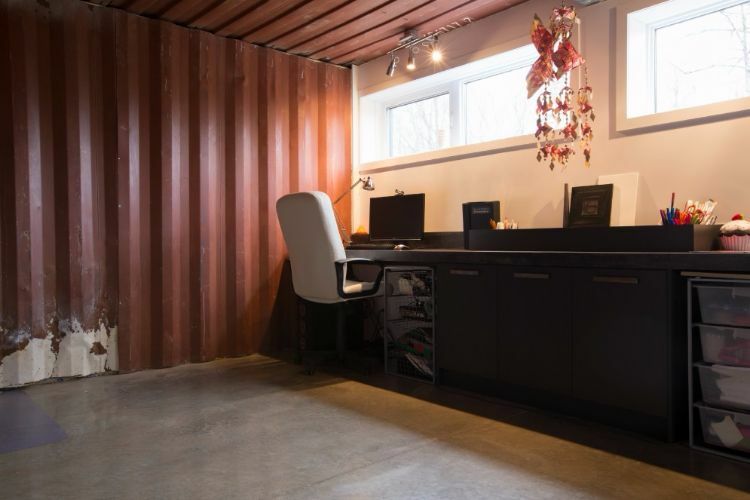 A computer desk and workspace gives plenty of room for tasks, but with plenty of light to do them by. 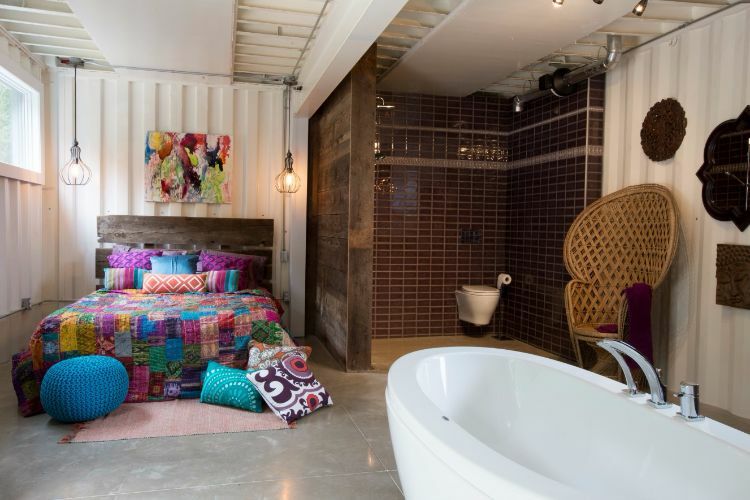 Sneak outside the master bedroom to the rooftop deck, where you'll find a private outdoor shower. What a peaceful way to get clean!